Adding kickboxing to a regular boxing workout not only adds more lower body activity but also some much needed variety. I’ve completed a few different boxing courses and I have to recommend PunchFit courses and Punch Equipment for training and gear. Check them out. 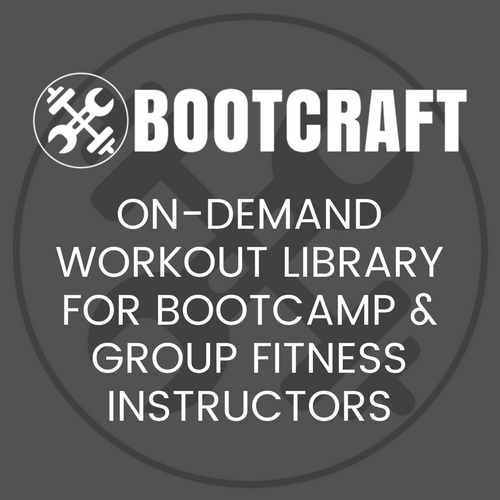 This class is designed to consolidate previous work done with a group of bootcampers on checks, punt kicks and push kicks along with regular boxing technique. Cover the 6 basic punches (jab, cross, left hook, right hook, left uppercut, right uppercut) and checks. Move into punt (snap) kicks and push kicks. Finish with coordinated shadow boxing. Clients split into groups of three. Two clients will box while the other performs a 200-400m run. Once the client running returns to the boxers, clients rotate around. The boxer becomes the pad holder, the pad holder moves to the run and the runner puts on the boxing gloves. Punching rounds, switch after all group members have done one round of punching. Combine the group back together for these finisher drills. Demonstrate all 3 drills before beginning. Spend around 90 seconds on each drill with only 30 seconds rest in between.